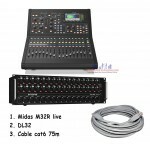 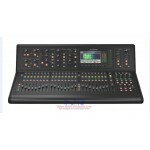 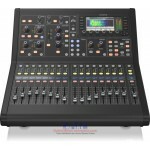 Midas M32C Digital Rack Mixer Features: 40-input channel, 1U rackmountable digital mixer 25 ..
Midas M32R Live performance and studio recording digital console with up to 40 simultaneous inp..
Mixer Digital Midas M32 Live + DL32 + Kabel 75m Live performance and studio recording digital con.. The Midas XL48 packs eight of Midas' award-winning microphone preamplifiers plus digital connectivit.. 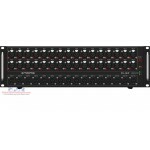 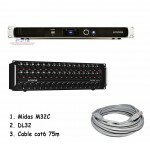 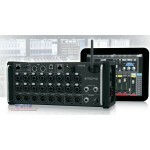 The Midas DL32 stage box represents a serious upgrade of your mixing console and in-ear monitoring r.. 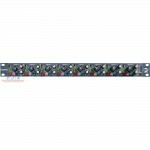 Combining 16 award-winning Midas Pro microphone preamplifiers, four amazing DSP engines, extensi.. 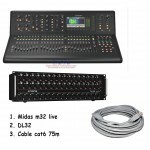 Packing the brain of their flagship M32 into a single rack space, the 40-input, 25-bus Midas M32C di..
Our goal for M32R LIVE was to combine the best of classic British console designs with advanced mode..
Digital Console for Live and Studio with 40 Input Channels, 32 Midas PRO Microphone Preamplifiers an..
Upgrade your mixing console and in-ear monitoring rig with the sound of Midas Pro preamps, courtesy ..